It’s the Blog’s Birthday, Oh and Mine Too! Let’s celebrate! It’s the blog’s birthday, oh and mine too! 😉 I love birthday’s, especially mine lol! But having the blog to celebrate on my birthday each year wasn’t something I really thought about when I decided to launch it 2 years ago on my 30th birthday. I had been working on it all summer and when it seemed like I would be close to my birthday before I’d be ready to launch I just made that my deadline 🙂 Who knew that it would end up being one of my new favorite parts of my own birthday?! 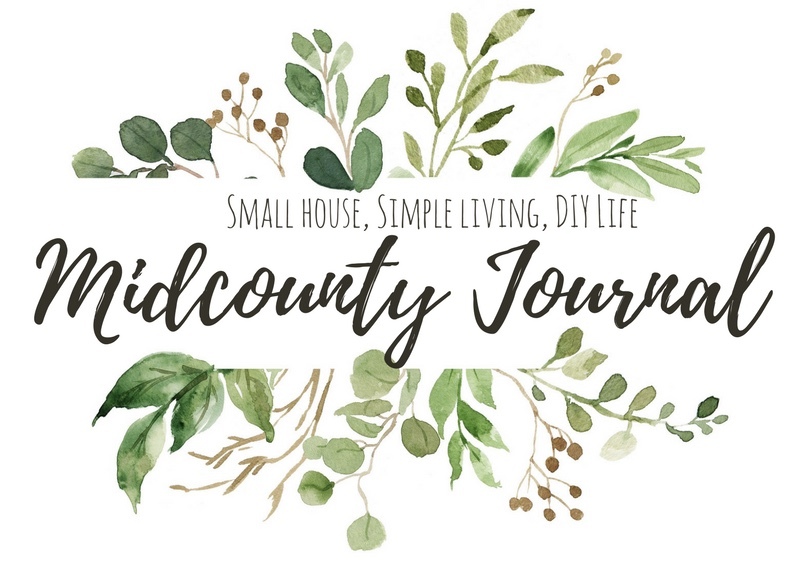 I started this blog because I had a few friends that were always telling me I should share what Ed and I were doing in our little fixer upper. While I knew NOTHING about blogging (still just scratching the surface lol) but I loved the idea! I remember thinking it would just be this place already set up for me to write and plug pictures into. There’s a bit more to it than that 😉 But man am I glad I went for it! It didn’t take long before I was hooked and knew this was something I wanted to pursue as more than a hobby! I seriously LOVE sharing everything with you and I’m so grateful I can! This blog has been a blessing to me in so many ways! For one it is a major creative outlet for me! I’ve also found that I enjoy learning the web design and how to keep this baby running! Trouble shooting is a real, and sometimes frequent, thing lol! But mostly I have met SO MANY AMAZING people because of the blog! You are one of them! You are my people! Blogging has connected me with my tribe and I cannot tell you how much it means to me! So in honor of my birthday and the blogs birthday I thought I would share 30 random facts about me plus 2 about the blog! I like room temperature drinks, yep I’m weird! I’m very close to my family…like literally we all live within 5 mins of each other! Lol! We reconnected via Facebook in our 20s and have been together ever since. Happy to be doing life with him! I’m an animal nut, always have been! Give me all the fur babes! I grew up on a farm and can’t wait to we have one of our own! I’ve had the same favorite perfume since 8th grade Ralph by Ralph Lauren. I’ve worn it for so long my sister tells me if she’s ever out in public and smells it she immediately thinks of me! One of my favorite people on earth is my nephew! He’s 3 and he’s amazing! I’ve been meal prepping for almost 10 years. Not sure if I could ever go back. My favorite food is salad or french fries or mexican or seafood…whichever lol! But for real I usually eat a salad every night for dinner and I’ve never gotten tired of them! I make birthday resolutions each year instead of New Years resolutions. Most this year have to do with the blog! But I also want to listen to more podcasts, read more books, practice more yoga, and plant a big garden! For my birthday this year I bought myself new makeup. I was in serious need and found some amazing products that I’ll be sharing with you soon! I love doing anything outdoors! Camping, boating, hiking I’m in! One summer growing up we went to the lake 14 weekends in a row! I dream of owning a little shop one day and/or doing edesign! I’m a clean freak! I come by this honestly. My grandma and mom are the same way! One of my biggest pet peeves is rudeness! Especially when it comes from behind a keyboard! I love to travel! That’s another resolution this year! Travel more! A place I’d love to go is Europe. Broad I know, but too many places to list there! I don’t watch much TV. We only have Netflix and Hulu and most of the time they’re only on as background noise. But I do love the Gilmore Girls and Handmaid’s Tale. I have a well rounded musical palette. I love Judah and the Lion, Imagine Dragons, The Red Hot Chili Peppers, Bush, Sheryl Crow, Poison, Johnny Cash, Elvis, Madonna, Taylor Swift, Garth Brooks…etc. Basically most genres from the 80s, 90s, and now ha! I don’t drink much but I will be having a margarita tonight! Okay now 2 for the blog’s birthday! Supporting this blog is supporting about the smallest business there is! This is why it means so much to me that you’re here! Ps. 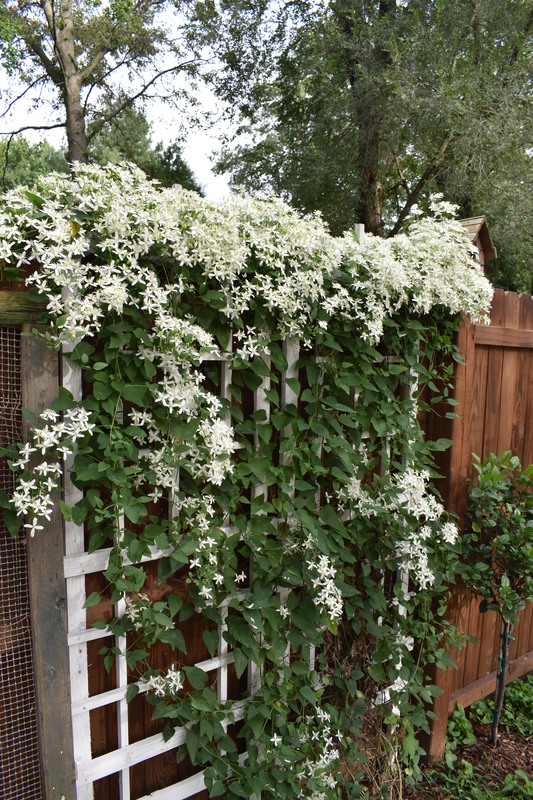 This is one of my favorite plants! 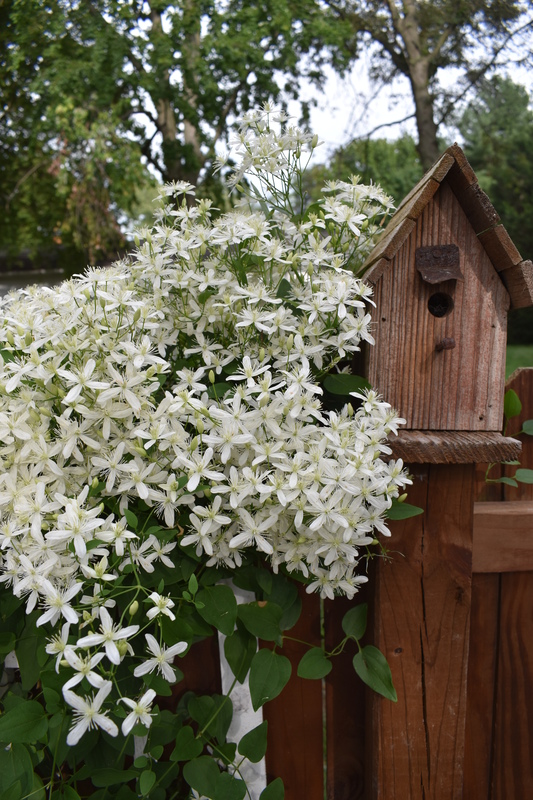 It’s called Sweet Autumn Clematis. 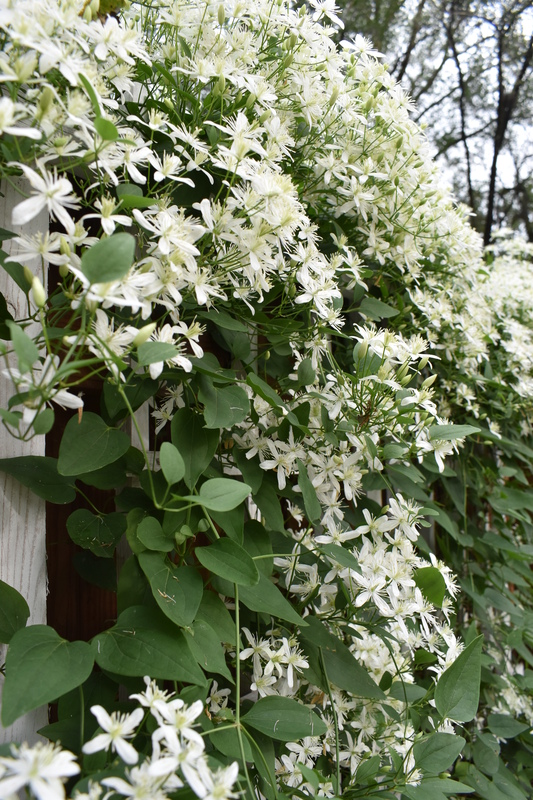 It’s easy to care for, grows like crazy, and smells wonderful! I hope you enjoyed learning a bit more about me on this day that I’m feeling blessed to be a year older! I’ll be emailing the winner of the sign giveaway tonight or early tomorrow morning and then I’ll update this article so y’all can know who won! It's the Blog's Birthday, Oh and Mine Too! 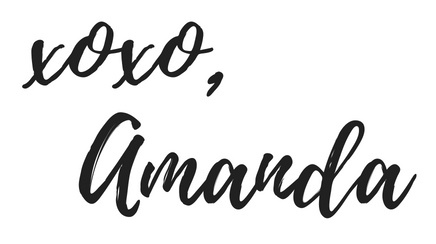 Happy Birthday, Amanda!…And Happy Two-Year Blogging too! 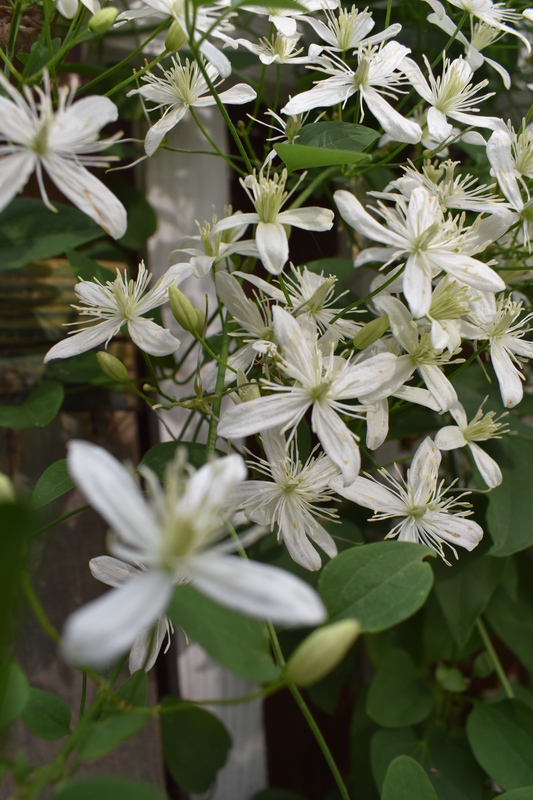 The Sweet Autumn Clematis, is gorgeous! Hello there friend! Thank you for the birthday wish! It was a good day! 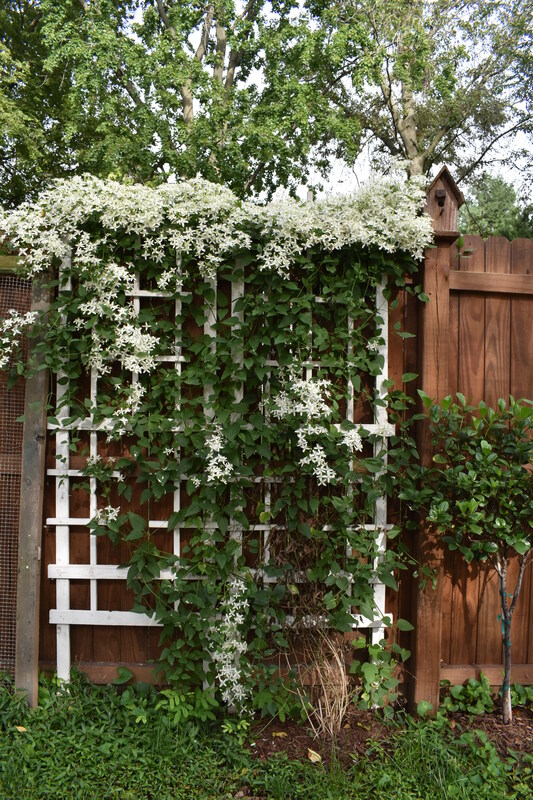 Hoping the clematis really spreads next year! Happy Birthday beautiful lady! You are such a blessing to me and I am so thankful we have become friends! You are amazing and I know God has big plans for you!!! Thanks so so much Tracey! Amanda!!! Happy Birthday!! I am so happy you followed your dreams and fell in love with the journey!!! It is always a joy to see your next story or post!! Thanks for letting us join you along the way!!! Keep being amazing!!! 😭😭❤️❤️ I can’t say thank you enough for this! Thank you so very much Marijean! Hi there! Thank you so so much! Thank you so so much for taking the time to say happy birthday to me!